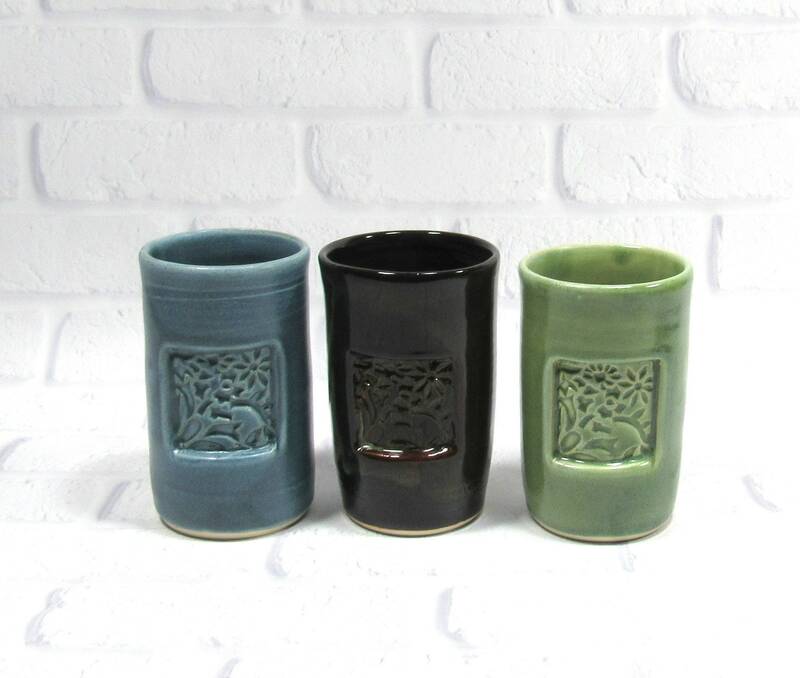 Gorgeous tumblers ideal for your tea, coffee or juice in the morning, or your evening wine or whiskey. 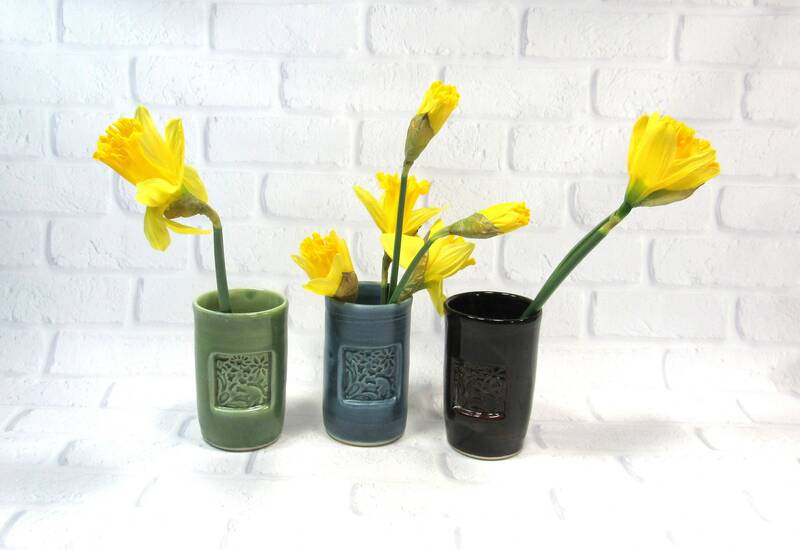 Use it also as a small flower vase or a pencil or brush holder. 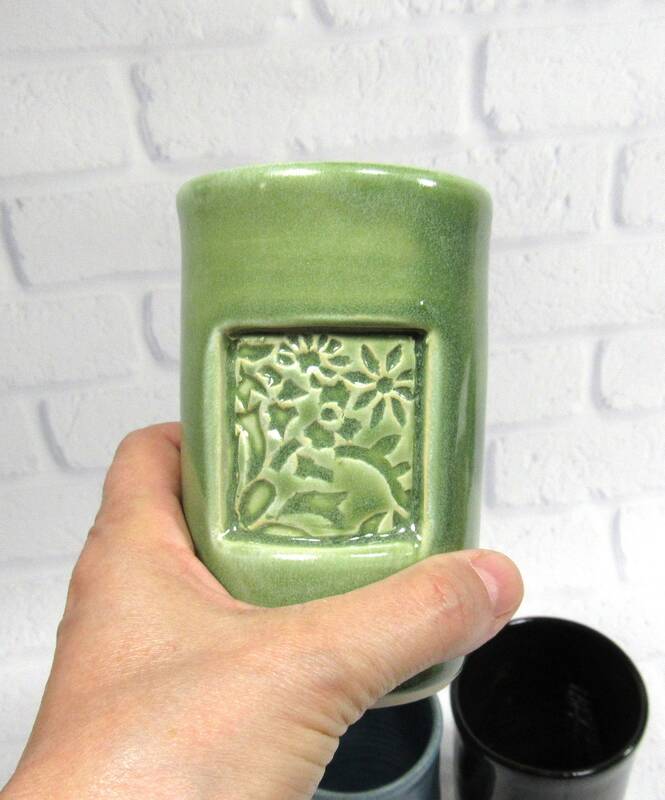 You can order the tumblers as a set or individually. 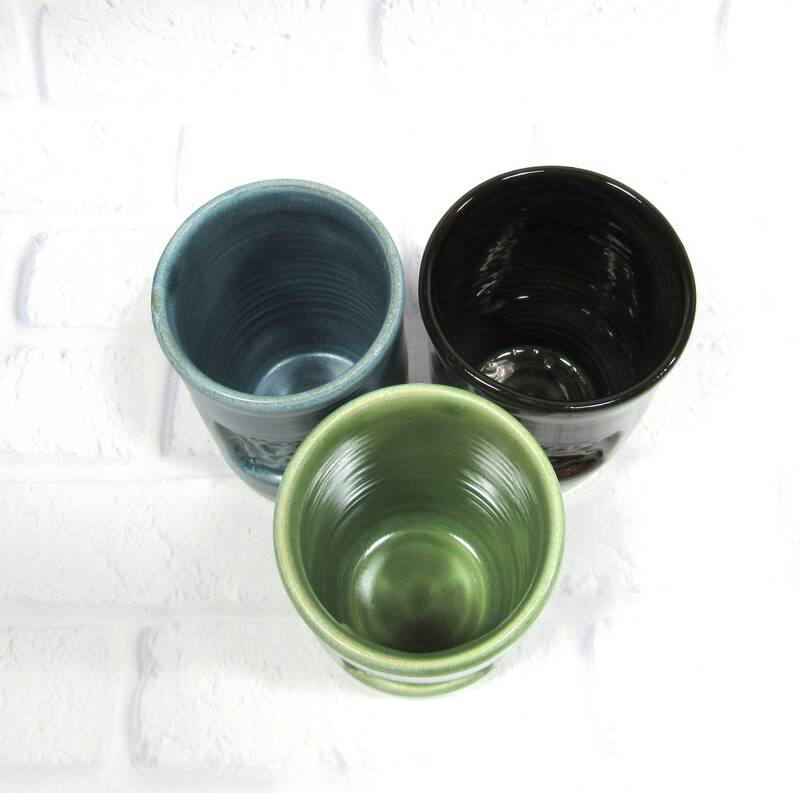 See "Style" pull down menu under the price for one tumbler ($25) to see prices for combinations of two tumblers ($48) or to purchase all three ($70). 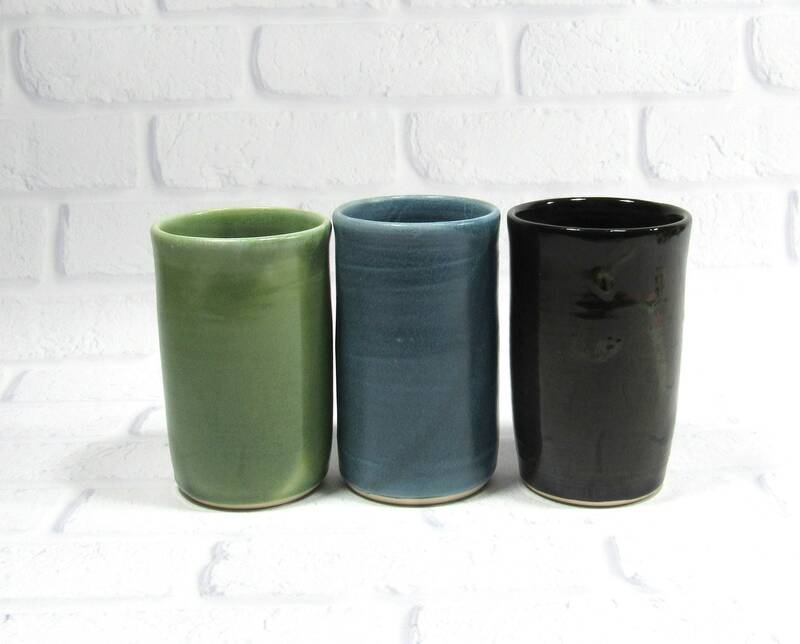 Tumblers are 4.5 inches tall and 2.75 inches in diameter and hold 1 cup (8 ounces). 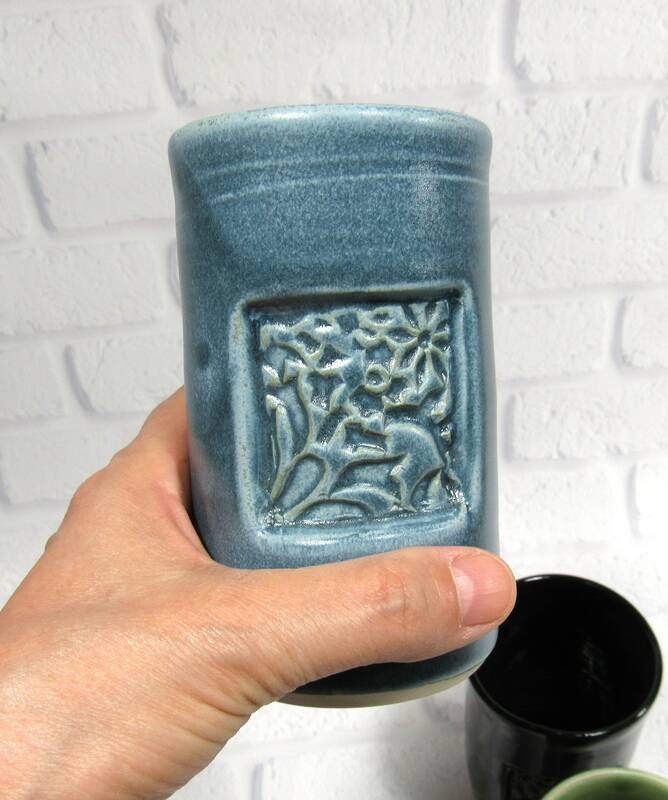 I made this ceramic tumbler on the potter's wheel in my Virginia studio. After it had dried enough to handle, I trimmed the foot and cut out a 2 inch square from one side. I textured the excised clay using a wooden stamp. 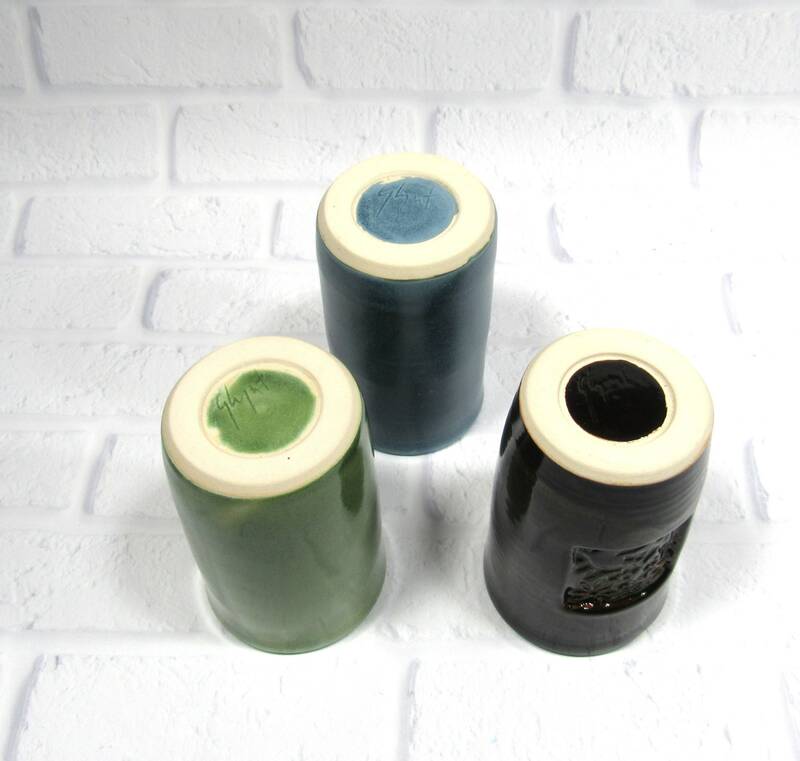 I then placed the textured clay back on the side from the inside of the tumbler. This created an indented window that frames the textured clay. 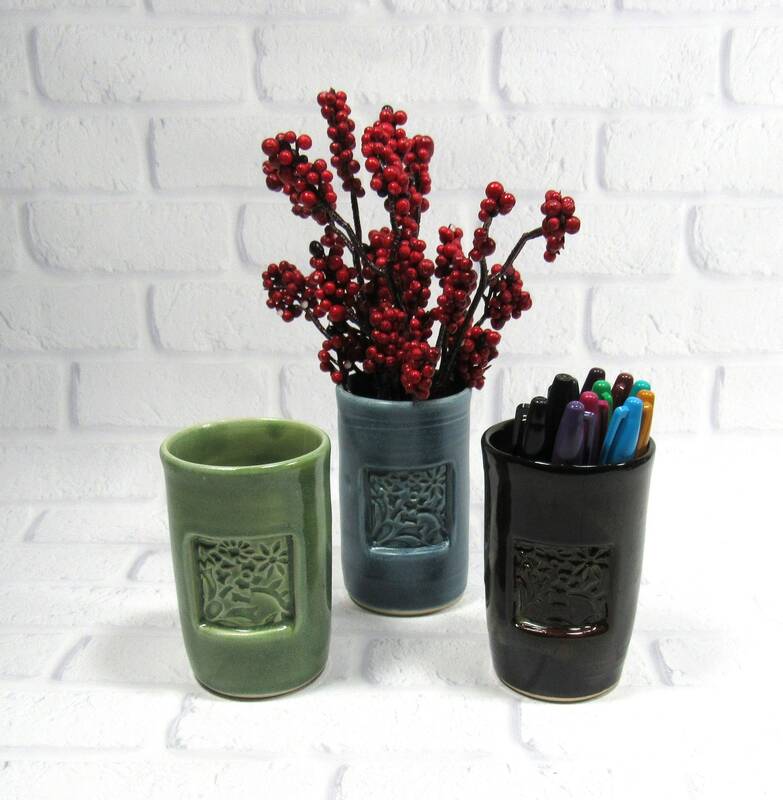 The tumblers are glazed in either green, blue glaze or dark brown glaze. 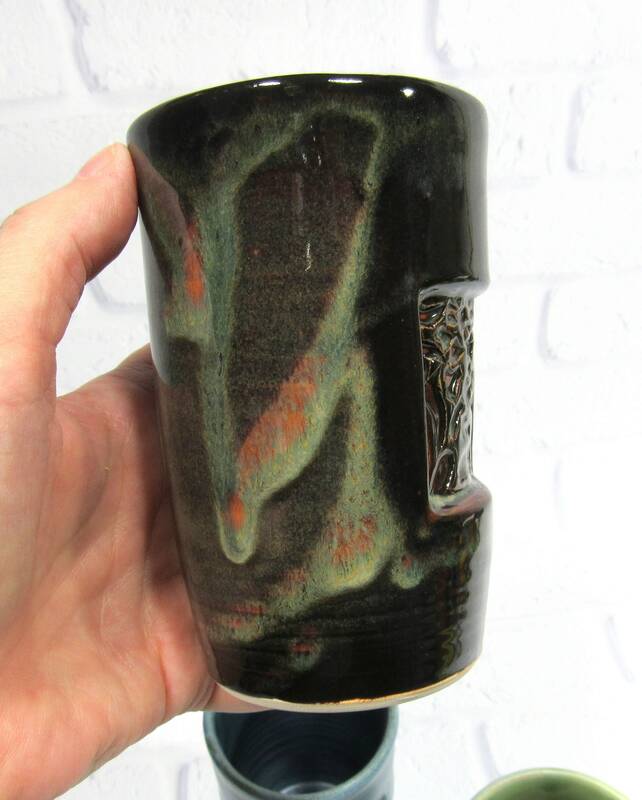 PLEASE NOTE that while the brown tumbler may look black in some of the photos, it is actually a dark chocolate brown with significant variations where the glaze flowed during the firing and in the textured area where it pooled. 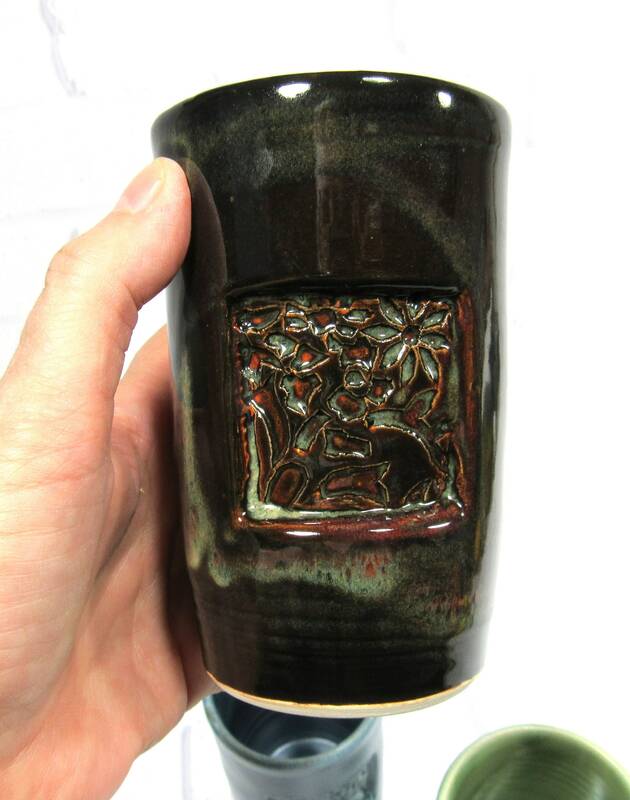 See fourth and fifth images for more accurate representations of the glaze.